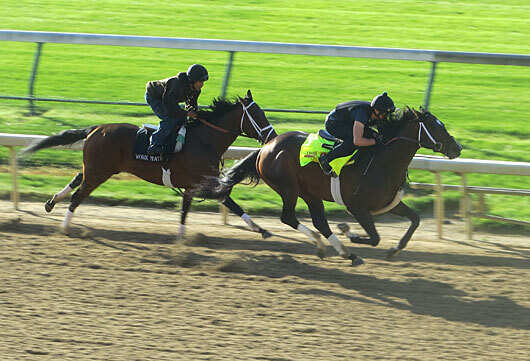 From Kentucky to New York to California to Maryland, there were Kentucky Derby works galore the past two days. But before we get to the works, the highlight moment of the day came at 5:45 a.m. when General a Rod went out for a gallop with blinkers n. Because of the colt’s slow work several days earlier when he became distracted by the giant jumbotron screen behind the backstretch, trainer Mike Maker decided to equip him with blinkers for the gallop, which he’s been wearing in his races. Maker wanted General a Rod to be more focused and aggressive and he was happy with what he saw as the colt came barreling around the turn at a strong clip, galloping between horses. “He’s more aggressive in this gallop than he was in his work,” said Maker, watching from the trainer’s stand. If that wasn’t good enough news for Maker, he was in for a real treat. As he galloped strongly down the backstretch, he hooked up with of all horses, Will Take Charge, one the best horses in the country, and an imposing presence at 17 hands. You couldn’t have scripted anything better for General a Rod, as Maker broke into a grin at what was transpiring on the track. General a Rod and Will Take Charge open galloped almost the entire the length of the backstretch eyeball to eyeball, with General a Rod not giving an inch and seemingly relishing his new-found competition. 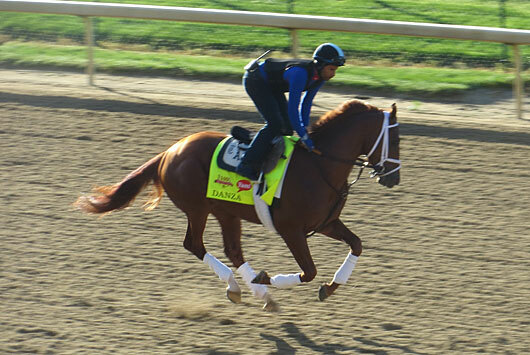 As General a Rod came off the track, Maker kidded with the exercise rider about hooking up with Will Take Charge. Maker continued to feel good about the morning’s adventures when he saw how General a Rod barely took a deep breath afterward. 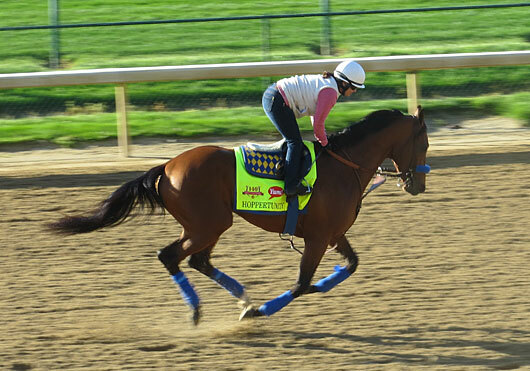 So, all in all an excellent and eventful morning for General a Rod, who will get one more work in over the track. As for the works, let’s first back up a day and head to New York for the Thursday works, thanks to the videos posted by the New York Racing Association. Wicked Strong had one of those old-fashioned Allen Jerkens workouts, going long and pouring it on at the end. The son of Hard Spun went seven furlongs in 1:27 1/5 over the Belmont training track and picked it up past the wire, pulling up a mile in 1:40 2/5. Unlike his races, he held a straight course and stayed close to the rail, and was striding out nicely at the wire. There is no doubt this is one fit horse, who should have no problem at all with the mile and a quarter. Uncle Sigh, working in blinkers, looked very sharp and focused, working a strong five furlongs in 1:00 1/5 and galloping out strong, getting his six furlongs in 1:13 and a mile in 1:43.. His stride was smooth and he couldn’t have been moving better. If this were any race other than the Kentucky Derby, this equipment change would have much more significance. 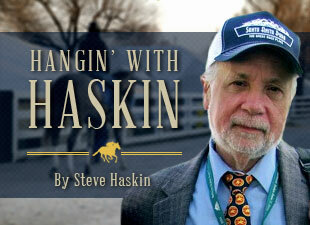 That’s not to say it won’t help him next Saturday, but equipment changes for the Derby haven’t proven to be successful. Still, he looked great working in them and expect a much improved effort. Samraat also had a good lung opener over at Aqueduct, working his customary mile in 1:45 4/5. The son of Noble Causeway has been machine-like in his mile works prior to a big race. He did it without being asked and trainer Rick Violette had to be pleased with the move. Medal Count did everything trainer Dale Romans was looking for. He went off evenly and came home his last two eighths in :12 flat. The rider asked him for a bit more approaching the wire and galloped out an extra eighth in :13 and another eighth in :13 2/5 to get his seven furlongs in 1:26 3/5 and finally pulled up a mile in 1:42. 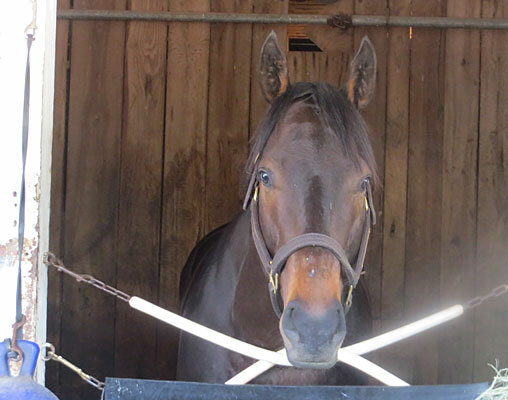 He looked a picture back at the barn, and maybe Romans is right when he brags on this colt’s chances. This work stamps him as a potential longshot play. The big question with him was the dirt, and he couldn’t have handled it better. 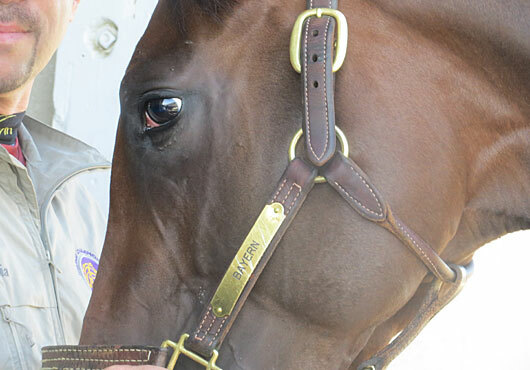 The works of lesser note were turned in by Vicar’s in Trouble, Harry’s Holiday, and Commanding Curve. Vicar’s in Trouble, who didn’t do much in his gallop yesterday, didn’t do much more in today’s work, as he breezed his five furlongs in 1:03 4/5. I haven’t seen this horse work before, but he did breeze five panels in 1:03 3/5 at Gulfstream six days before winning the Louisiana Derby, so you have to wonder just how much stock to pun into his work. Let’s just say it didn’t exactly catch the eye. 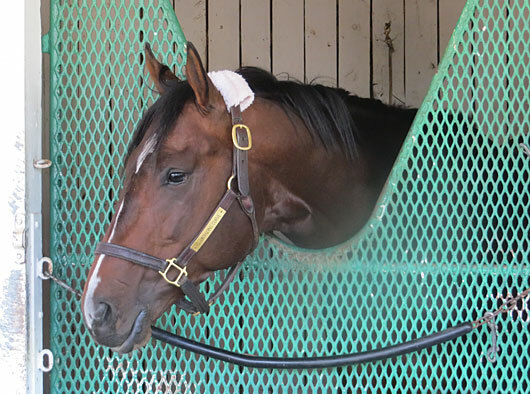 Harry’s Holiday breezed his five furlongs in 1:02 3/5 under jockey Corey Lanerie, while Commanding Curve, working in company, went five furlongs in 1:02 3/5, without a gallop out of any significance. Again, I’ve never seen this colt work, but supposedly, he’s not the best of workers in general. The important thing for him right now is to get in the race, and then you can assess his work. It’s not going to help or hurt his chances in the Derby. We pretty much know where this colt is in his career. He’s improving and belongs in the race off his fast-closing, troubled third in the Louisiana Derby. Tomorrow will be busy, with Danza, Intense Holiday, Ride On Curlin, Vinceremos, We Miss Artie, and Wildcat Red all scheduled to work. I’ll also go over California Chrome and Dance With Fate’s works today as soon as I can catch them online.